Launchpad: To nourish is to provide with the food or other substances necessary for growth, health, and good condition. It means catering for both the physical and emotional parts of his wife. Growth is essential in a marriage and the man should spearhead this. Every marriage has its starting point. Whichever the premise, that’s where you start. Many are those that they are first time spouses, parents and lovers. Growth will require patience and lots of grace. As you grow together, hold her hand. Adjust your expectations and appreciate that she’s also human too. Nourishing and cherishing go hand in hand. To cherish her is to keep her warm, to provide all she needs for comfort, and life. And by the grace of God, yes you can, together as one entity. Clothing her both literally and spiritually is also in the package. 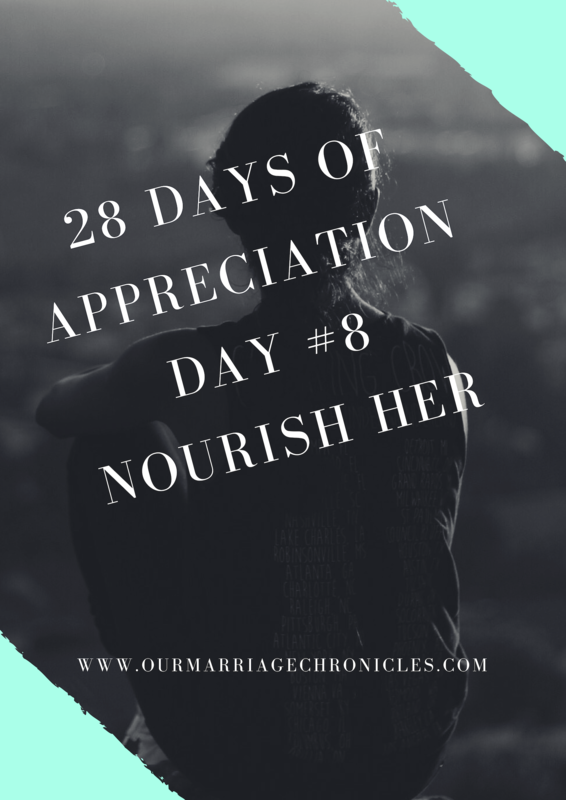 Attending to her emotional needs of appreciation, love, affirmation and being her inspiration as earlier mentioned. A husband ought to help his spouse in her spiritual growth. Studying the Word of God together, fellowshiping together, growing in faith and in deeds. So today feed your woman. Ephesians 5:28-29; So husbands ought to love their own wives as their own bodies; he who loves his wife loves himself. For no one ever hated his own flesh, but NOURISHES and CHERISHES it, just as the Lord does the church. Abba Father, your Word is a lamp unto my feet and a light unto my path. Your Word is strength and is my delight. May I nourish and cherish my wife as you do it for the Church. Lead me, I will follow.